How does the e2e-network architecture of WiMAX look like under different conditions (Greenfield, DSL-operator, mobile operator)? Which mobility management options exist in WiMAX-networks and how do they differ? How do OFDM and OFDMA work? How can there be soft handover in OFDMA? What are the differences between PUSC, FUSC or AMC in OFDMA? What do we have to consider when setting up single frequency network operation with our WiMAX OFDMA-network? What is Fractional Frequency Reuse? How does WiMAX provide for QoS? Which parameters are used? 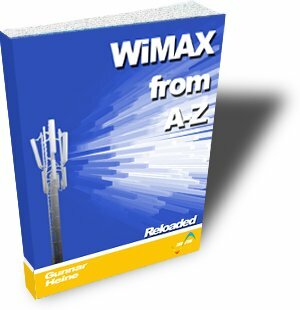 In which frequency bands will WiMAX actually be deployed? How does MIMO work in WiMAX and how does it impact the operation? How do MIMO Matrix A, B and C differ? How do procedures like sleep mode, idle mode, paging and handover operate in detail? How can the PKMv2-security architecture of WiMAX be integrated into our existing security architecture?